Pharmacies and long-term care facilities. 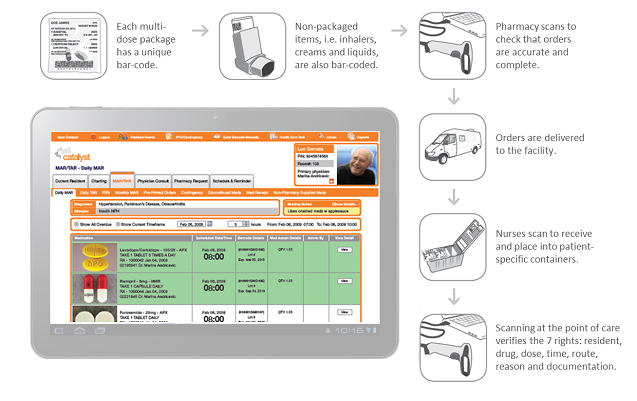 oneMAR is an internet-based system that seamlessly integrates the information and care needs of pharmacies, healthcare facilities and physicians. Through the use of time sensitive bar coding, oneMAR ensures that the right medication is given to the right resident at the right time, increasing safety and efficiency. Additional benefits include improved communication, inventory tracking, extensive reporting, and safe, standardized medication practices.